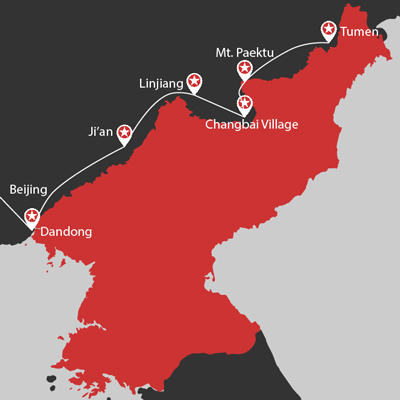 For our All Koreas tours in 2019, we are starting with the Borderlands road trip of a lifetime. 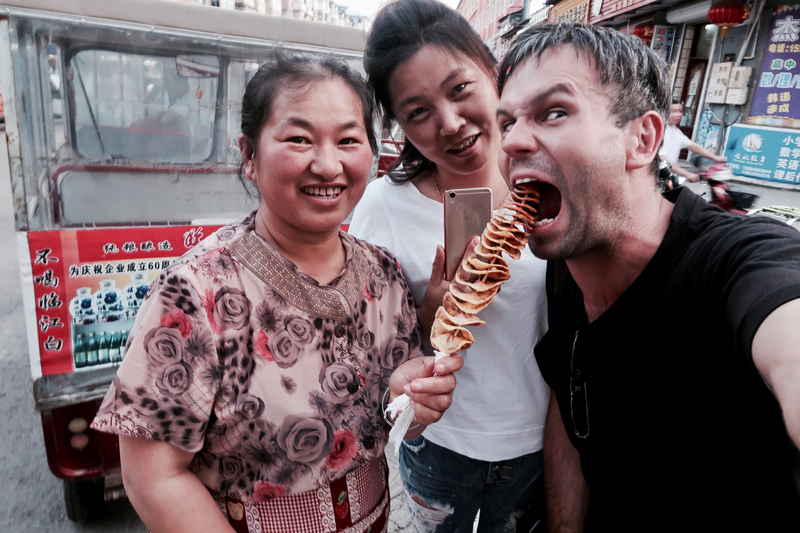 Although this tour is entirely in China, we take you through all the border towns, where North Koreans and Chinese Koreans and even South Koreans mingle freely! 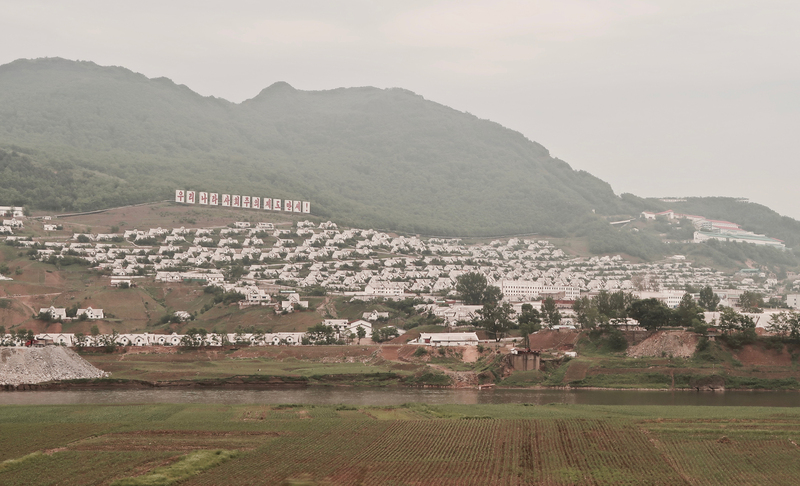 And we give you views into the DPRK that are impossible to see even when you’re in the country. This trip is one of the most interesting and adventurous ones we have ever offered, with a great amount of research going into where to go and what to do. While we have included as much as we can into the printed itinerary, the real adventure lies in the things we have yet to experience on the tour. This is not just a tour; it is travelling along the very front line of the modern DPRK and seeing how it relates to its closest neighbour and biggest ally. You may join this North Korea Borderlands tour as a stand alone tour or you can combine other parts of our All Koreas tour to not only save on cash but to gain more experience on what the DPRK has to offer. 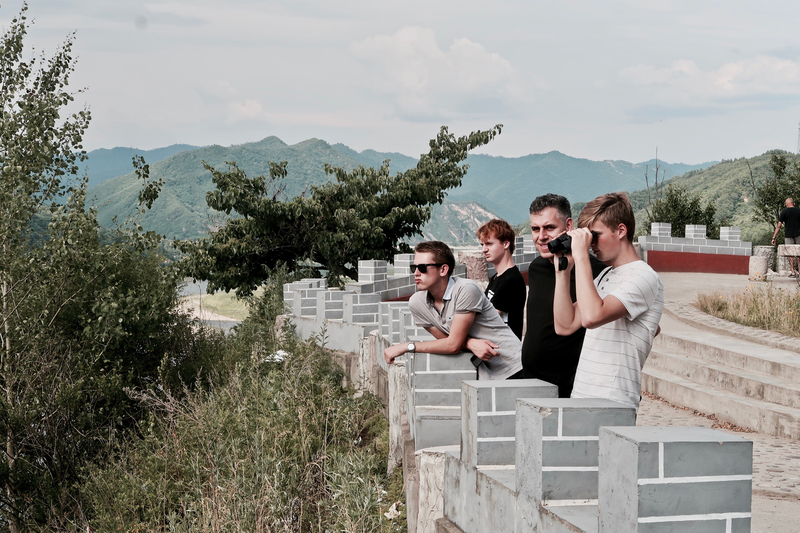 Visit the most easterly part of the Great Wall at Tiger Mountain – This is famous for the ‘one-metre hop’ as it is the narrowest point between China and the DPRK. Lunch at an authentic Pyongyang restaurant – All the staff at the restaurant are North Korean, and they provide the traditional Korean hospitality with songs and dancing, giving you a taste of what’s to come inside North Korea itself! Check out the Museum of the War to Resist America and Aid Korea – The museum is great for learning about the Korean War from the Chinese side. The museum has English captions everywhere. After disembarking from the boat, now is your chance to walk along the destroyed Friendship Bridge and see the Chinese propaganda. For dinner, we’ll dig into Dandong’s famous BBQ dishes. Overnight at Dandong Dantie Hotel. 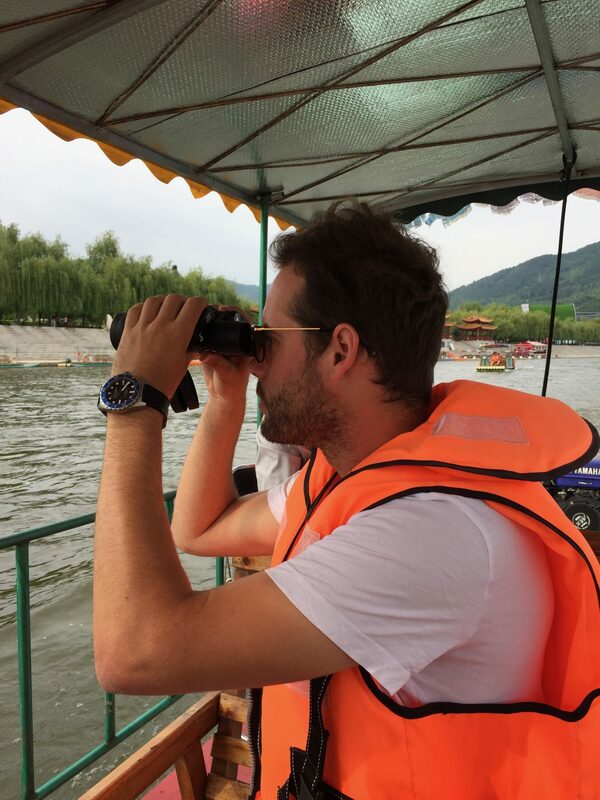 After an early breakfast, our road trip begins as you travel down the Yalu River to Ji’an city for a look of Manpo city – a city of 110,000 with great picture opportunities! During our drive, we will have a chance to pull over and check out any interesting things that pop up along the way. Ji’an city used to be the capital of the Koguryo Dynasty, one of the first dynasties to rule over Korea. We’ll take a stroll around the city, hunting ruins of the past and walking around the main city square. Visit the Ji’an Koguryo Dynasty Artifacts Museum. We take a night to explore, hitting some great BBQ and having a few beers in an imported beers shop before checking out the riverfront. After breakfast, we’ll visit the next major/secret border crossing into DPRK located in Ji’an. Everyone has heard of China’s great wall, but today we visit the Korean Wall, which marked the border between historic Korea and China. We take a morning visit to the UNESCO site that is the capital city and holds the tombs of the ancient Koguryo kingdom – a must-see for people interested in Korean history and culture! The site contains the archaeological remains of three cities and forty identified tombs of Koguryo imperial and noble families. Lunch at a small yet very interesting village and continue driving on. Arrive in Linjiang – this city looks scarily like Las Vegas from a distance but is nothing like Vegas on arrival. Explore another border crossing in Linjiang. This is one of the significant industrial borders between the two countries, and particularly interesting. Visit the statue of Chen Yun, one of the founders of People’s China, as well as visiting his former residence. He was one of the very few Chinese politicians to avoid being purged despite finding Chairman Mao slightly too left and Deng Xiao Ping slightly too right. Chen Yun sadly passed away of old age in 1995. 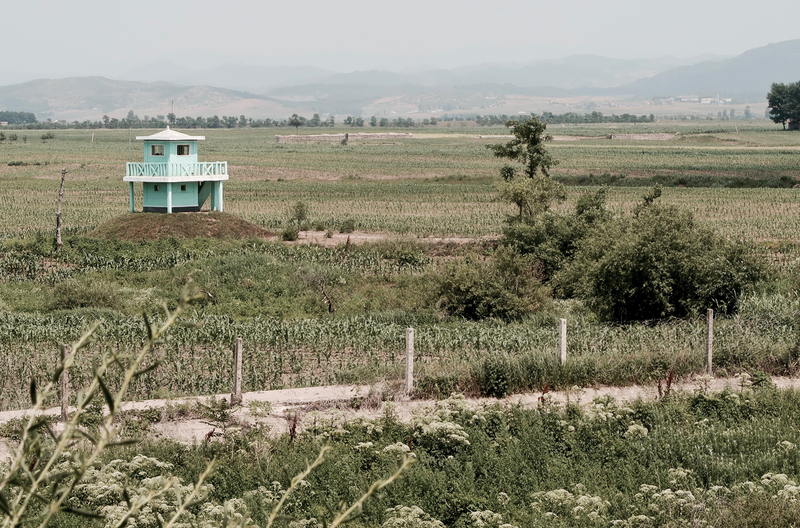 We’ll hop on a raft boat from which we can take a closer look at rural life on the North Korean side. Dinner at a local restaurant and then a visit to an infamous underground club with cabaret-style shows including magic, dance, and much more! Stop off at the shops where we can buy more DPRK goods and souvenirs. Take our bus to the Changbai–Hyesan International Bridge which serves as one of the major border posts between the DPRK and China and offers excellent overlooking views of Hyesan City in the DPRK. We enjoy some authentic Korean/Chinese lunch in the country. Arrive in Changbai Village and check into the hotel – this is Changbai Korean autonomous county, which is the only Korean autonomous zone in China outside Yanbian. 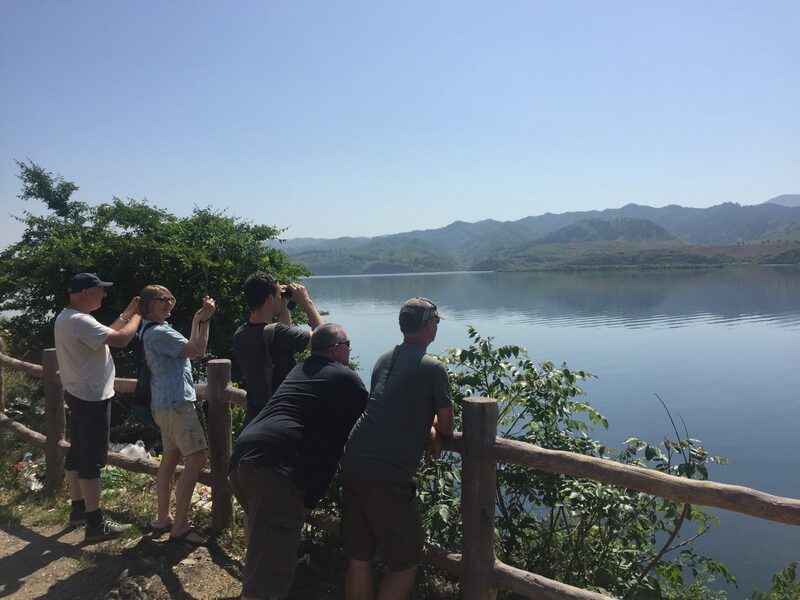 We’ll head back out to take a walking tour along the riverfront and climb up a viewing platform to give us a better glance at unseen parts of North Korea. Take a night stroll around the city for some local food and to explore some local drinking holes. Overnight in a strangely Renaissance-themed hotel that overlooks straight out on Korea! Wake up early and Drive to Baihe which is the entrance to Mount Changbai National Park. This is the Chinese side of Mount Paektu – the most sacred mountain in the DPRK. We’ll have a full day of adventurous hiking up Mount Changbai to see the very famous and magnificent Heaven Lake- this is the iconic volcanic lake seen in very many paintings from the DPRK with the leaders. We recommend bringing suitable hiking boots! Picnic lunch on the mountain. Make our way back down the mountain. Jump on a shuttle bus and explore more beautiful scenery such as Changbai waterfall, lakes, hot springs, and the mystical dense forest that surrounds the valleys below the mountain! Head out for dinner with Chinese local unique dishes and an early night in. Along the way, we’ll have a quick stop in Longjing city to sample some Korean delicacies such as raw beef, Chinese-Korean kimchi and other delicious Korean dishes! 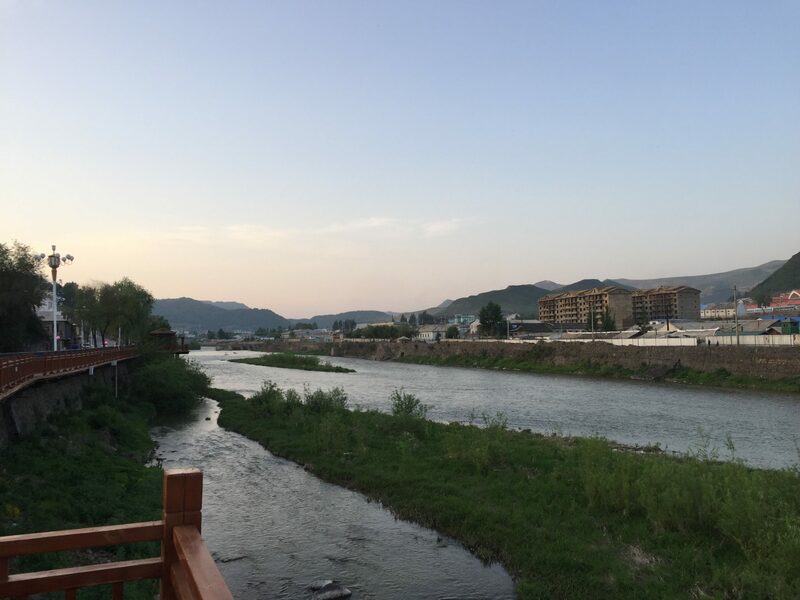 Explore the nearby parkland area which surrounds the border crossing – this is a perfect opportunity to approach the river bank for some fantastic close-up shots of the DPRK! Shop at the stands nearby for some very rare DPRK memorabilia that is not always available in the country. Check into hotel in Tumen to join up with the new group members and then go out for beers, soju or a last taste of Chinese baijiu to celebrate the end of the Borderlands road trip! End of All Koreas Part 1 tour. YPT can offer accommodation, or ongoing transportation to help you get to your final destination. Please get in touch for more details. Or continue into the DPRK with All Koreas Part 2! 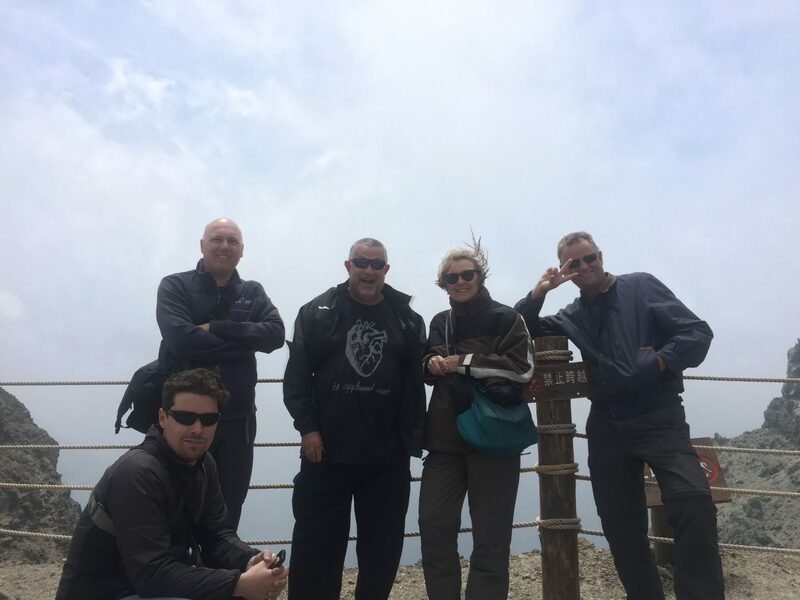 Hike up Mt Paektu (Changbai Mountain to the Chinese) to see the very famous and magnificent Heaven Lake – this is the iconic volcanic lake seen in very many paintings from the DPRK with the leaders. 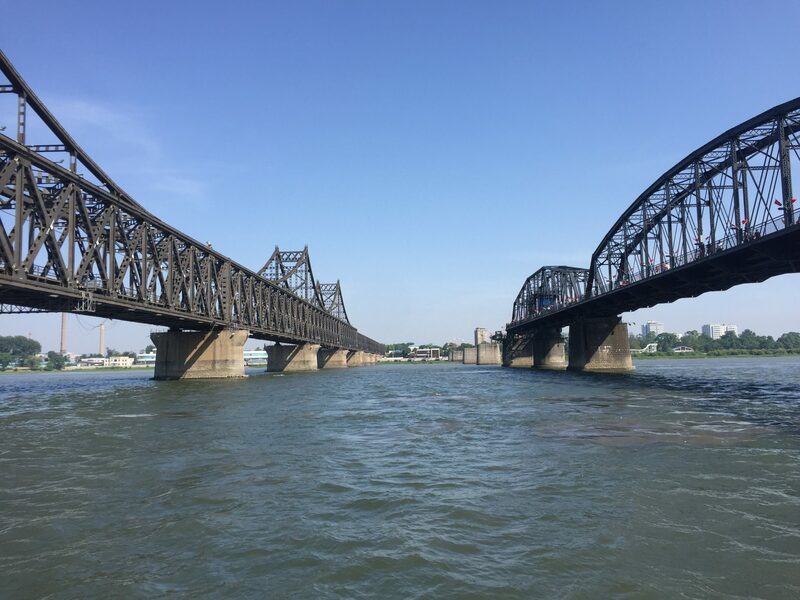 Check out the major border city of Dandong, including the eastern part of the Great Wall, which includes a chance to see “one leap pass”, where you are literally one step away from the DPRK off the wall! 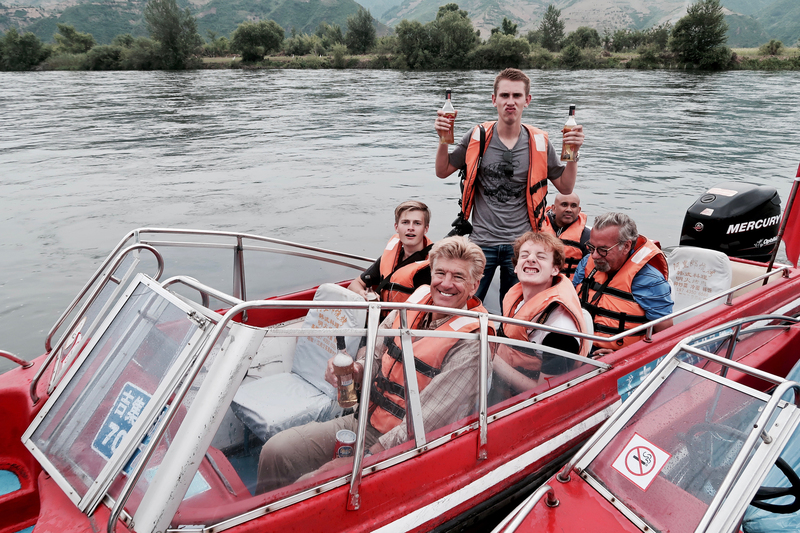 We even take a boat trip along the riverbank of the DPRK. • Twin share room accommodation. If you would like your own room for the duration of the tour, the cost is 200 euro extra. • Meals, and some drinks (unless otherwise noted in the itinerary). • Transportation in Air Conditioned van/bus from Beijing-Tumen. • Entrance fees (unless otherwise specified). • Tips for guide/driver (not expected but always appreciated). • Extra drinks and snacks.